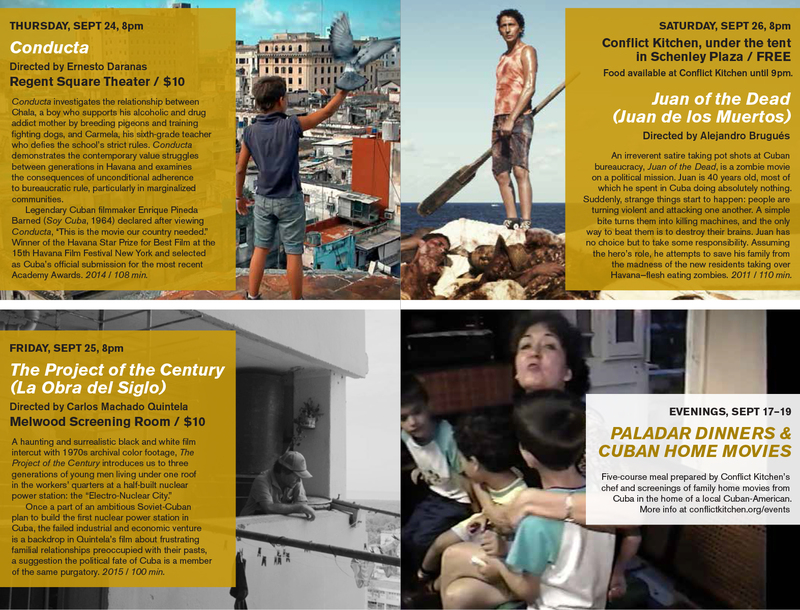 Recent independent Cuban films exploring the diversity of the Cuban experience in fiction and experimental cinematic storytelling. Conducta investigates the relationship between Chala, a boy who supports his alcoholic and drug addict mother by breeding pigeons and training fighting dogs, and Carmela, his sixth-grade teacher who defies the school’s strict rules. Conducta demonstrates the contemporary value struggles between generations in Havana and examines the consequences of unconditional adherence to bureaucratic rule, particularly in marginalized communities. Legendary Cuban filmmaker Enrique Pineda Barned (Soy Cuba, 1964) declared after viewing Conducta, “This is the movie our country needed.” Winner of the Havana Star Prize for Best Film at the 15th Havana Film Festival New York and selected as Cuba’s official submission for the most recent Academy Awards. A haunting and surrealistic black and white film intercut with 1970s archival color footage, Project of the Century introduces us to three generations of young men living under one roof in the workers’ quarters at a half-built nuclear power station: the “Electro-Nuclear City”. 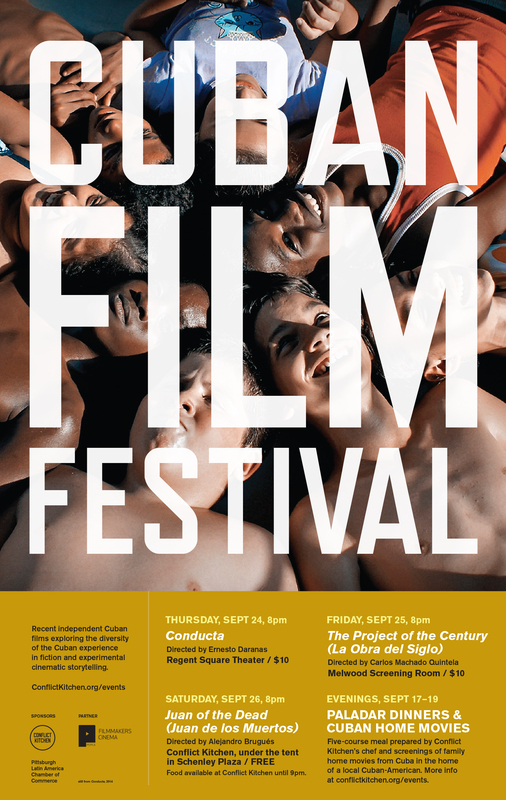 Once a part of an ambitious Soviet-Cuban plan to build the first nuclear power station in Cuba, the failed industrial and economic venture is a backdrop in Quintela’s film about frustrating familial relationships preoccupied with their pasts, a suggestion the political fate of Cuba is a member of the same purgatory. An irreverent satire taking mischievous pot shots at Cuban bureaucracy, Juan of the Dead, is a zombie movie on a political mission. Juan is 40 years old, most of which he spent in Cuba doing absolutely nothing. Suddenly, strange things start to happen: people are turning violent and attacking one another. A simple bite turns them into killing machines, and the only way to beat them is to destroy their brains. Juan has no choice but to take some responsibility, something that he’s avoided most of his life. Assuming the hero’s role, he attempts to save his family from the madness of the new residents taking over Havana – flesh eating zombies.